Daniela Schlingmann Literary Scouting Ltd sources the very best books from the UK as well as from other major languages for international translation, and advises on adaptation into film, TV and audio. We have a vacancy in our busy children's department and are looking to recruit a Children's Scout to join our dynamic team. • Building and maintaining communications with a large network of UK and international agents and publishers as well as with film and TV agents. • Liaising with our international clients daily, answering queries, sending submissions, writing and proofing reports. • Communicating with UK editors and agents, building and maintaining market awareness and reporting on UK market developments. 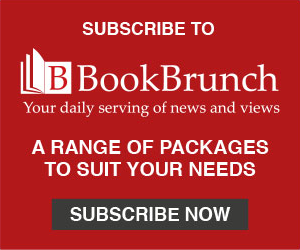 • Reading submissions: the focus will be on children's books but a broad interest in all areas of general fiction and non-fiction would be beneficial. • Attending events and representing DSLS at book fairs (particularly London, Bologna and Frankfurt). • Organising book fair schedules on behalf of the children's clients. • As part of a small team, you are also expected to use your skills to help facilitate colleagues' projects; to roll up your sleeves and pitch in where necessary. • A passion for children's and Young Adult fiction and prior experience of working in the children's book market are essential, ideally in scouting, editorial, agenting or translation rights. • Fast and precise reader, able to report confidently and clearly on the content, style and commercial level of titles. • Outstanding communication skills and a network of relevant contacts. • Highly organised with a sharp eye for detail and excellent IT skills. • A confident self-starter and problem-solver. • Highly motivated and keen to develop a long-term career at DSLS to grow and develop the area of children's scouting further. • Foreign languages or experience in bookselling would both be an advantage but are not essential. We are looking for someone who has been working in the industry for at least three years but would welcome applications from people with more experience as well. We are keen to tailor the role and responsibilities to the right person. Flexible work hours or a part-time role could be discussed if you are looking for a new challenge after parental leave. Please send your CV and covering letter to Daniela@schlingmann.co.uk, stating your earliest availability and that you are applying for DSLS CHILDREN'S SCOUT in your subject line. Salary on application and dependent on experience. We reserve the right to close the recruitment process early if we have found the right candidate.